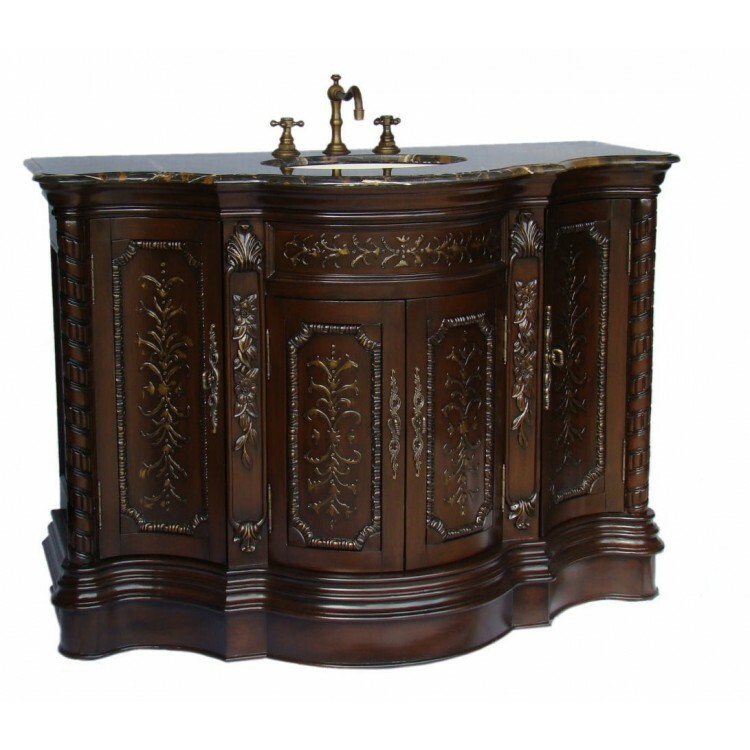 Home » Traditional » 40" - 49" » Candence 48"
Redecorate using our most decorative old world styled Cadence bathroom sink vanity. The bold and unique design is highlighted with a black granite countertop. 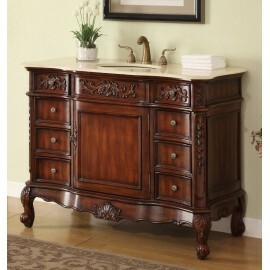 The cabinet is decorated with Asian Chinorserie art work. Four door compartment provides ample storage for your essentials. Give your bathroom an upscale appearance with this striking bathroom sink vanity. Black granite countertop. Bisque undermount porcelain sink. 8" spread faucet sold separately.